Frails & Wilson are amazing! Their professionalism and sincere concern for their clients are first and foremost, and this helps their clients to have a sense of security in a time of life changing and even traumatic circumstances. Their attorneys and staff are an awesome team that exudes the best for their clients. 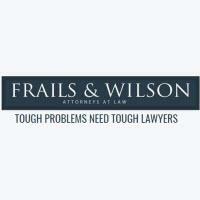 I highly recommend Frails & Wilson regardless of the case. Their excellence, professionalism, and experience at Frails & Wilson makes this law firm a treasure in our community and the surroundings CSRA .